MTGA Wines currently focuses on hand crafting a single varietal (Merlot) from a single vineyard each vintage. Mike Anderson started this label with his first release in 2010. Mike grew up in the Napa Valley – both his father and grandfather have been involved in the Napa Wine industry since the early 1980’s. His grandfather Gus Anderson, runs Eagle’s Trace and his father Todd Anderson runs Anderson’s Conn Valley and Ghosthorse Vineyards. Mike left the valley for a number of years – attending Gonzaga University in Spokane Washington where he was not following his relatives footsteps in the wine industry – rather he majored in Criminal Justice and Sociology. Eventually he returned to the Napa Valley – and took a job with Raymond Winery – in their tasting room. Chances are if your family is in the wine industry and you return to the valley – you will also in someway “return to your wine making roots” so to speak. Mike started taking wine making classes at Napa Valley College which is one of the few Junior Colleges in the state to have a bonded winery on campus as well as their own vineyards. Through a friend, he was introduced to a small Merlot vineyard just north of the town of St. Helena. In 2010, he and friends picked this vineyard themselves – loading the grapes into a bin in the back of their pickup truck. At this time, Mike had no intention of making wine commercially – rather he wanted to apply what he had learned through his classes. Mike enjoys making and drinking Merlot. 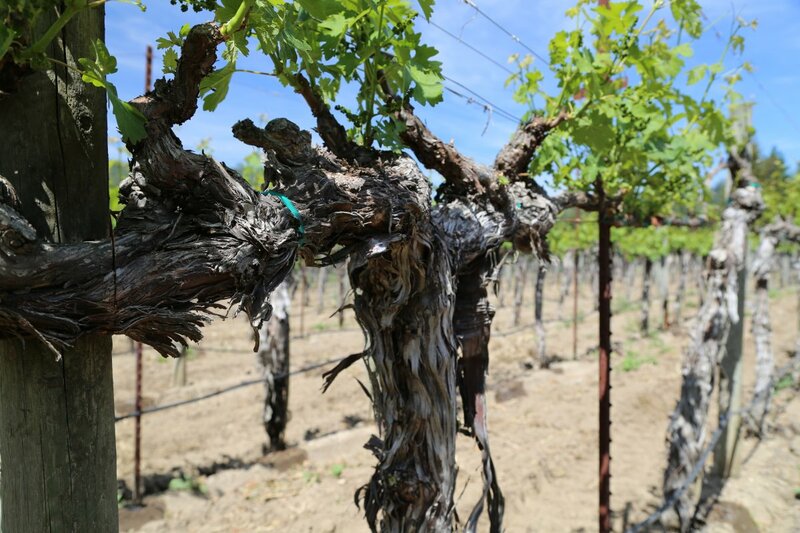 He knows of just a handful of Napa producers who focus on this varietal. Surrounded by plenty of Napa Cabernet Sauvignons, a producer who focuses on Merlot is somewhat refreshing and a rare thing in Napa. Reflecting upon those who have influenced his palate – he mentions his grandfather, Gus Anderson. Gus has always been somewhat of a Francophile – preferring old world wines. Mike strives to create balanced wines with good acidity, wines that really shine with paired with compatible foods – and a wine that has the ability to age. After 18-20 months of barrel aging, Mike started giving samples to friends and family. Urged on by their positive feedback, he decided it was time to move forward – getting label approval, bottling and doing everything a new winery needs to accomplish before releasing wine commercially. As a commercial producer sometimes picking a name that is creative yet at the same time is not already in use can be challenging. 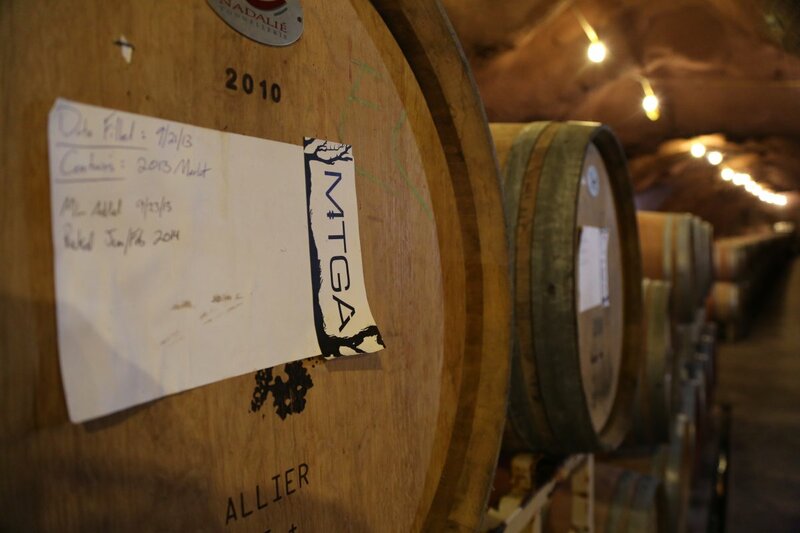 Each letter of MGTA stands for an initial and is a tribute to his family – M, for Mike (and also Merlot), G for his grandfather Gus, T for his father Todd and A for their last name. The vineyard source remains the same each year. However his harvest dates have varied dramatically during the last three vintages. In 2011 he picked at the end of October, 2012 was a month earlier at the end of September and in 2013 he harvested in early September. His tries to harvest when the grapes are phenologically ripe – rather than letting them hang longer to increase sugar levels and concentration. His winemaking philosophy is to “direct” the wine in the right direction when it comes into the winery – rather than mold or manipulate it. His approach is not overly controlling rather more of a minimalist wine making style. He uses a variety of oak – mostly neutral or once used – preferring to showcase the varietal characteristics rather than the “wood”. The 2011 vintage was unfined and unfiltered – and made with minimal use of SO2. The 2011 was recently released at the time of our tasting. This wine is not tasting like perhaps what people perceive the 2011 vintage to be (a challenging vintage in the Napa Valley for vinters for a variety of reasons). Mike admits challenging vintages can be highly stressful, but he actually enjoys the unique nuances and challenges of a “difficult” vintage. The 2011 vintage shows an initial herbal component – not overly green at all but rather a nice mix of sage, a hint of wood influenced spices and a distinctive smokiness. As the wine breathes the herbal component becomes more restrained and red fruit aromas rise to the forefront. The wine has very good natural acidity without being bracing. The palate shows a variety of red fruit flavors, red currant and red cherry. This wine has very good ageability. The finish is bright and lively with dusty well integrated earthy tannins. The 2012 Merlot barrel sample we tried is a bigger wine than the 2011 – this is part of the vintage variation that is neat to see when a producer works with the same small vineyard each year while the wine making essentially remains the same. 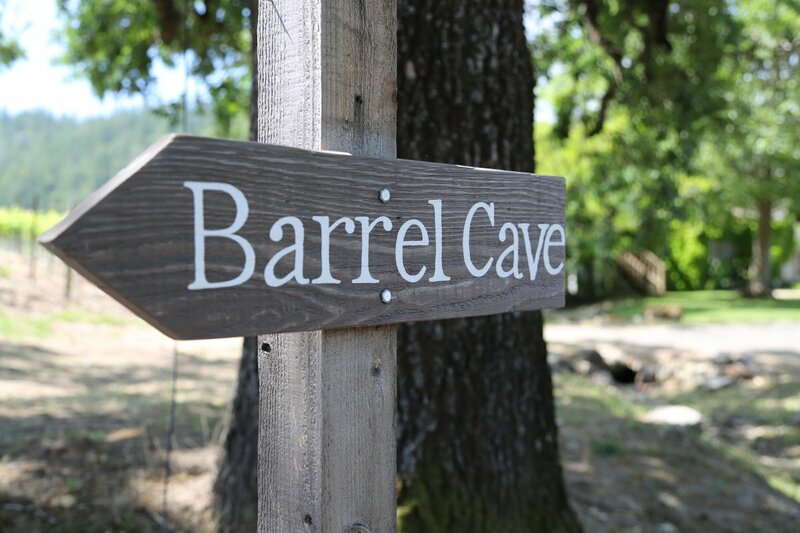 Other than just a select few retail outlets in the Napa Valley (750 Wines in St. Helena and 1313 Main in the city of Napa), the wine is currently only available directly through their mailing list or by reaching out to Mike. His first release in 2010 was only 43 cases – 2013 was under 140 cases. There isn’t much wine but eventually the wine will be selectively distributed. Moving forward, Mike plans to bring additional varietals into his portfolio – he will produce a white wine from the 2013 vintage.